Not being able to sleep is terrible. You have the misery of having partied all night….without the satisfaction. 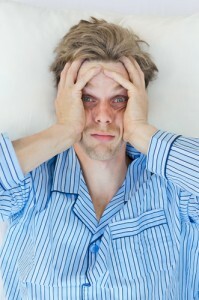 Depending on the statistics it is estimated that between 30-40% of the population suffer from chronic insomnia. In today’s connected world most of us are walking around over stimulated, over-stressed and under rested. For many in modern, affluent societies, the first and last thing we do is stimulate our minds, bodies and emotions via connection to some sort of technology whether it be our phones or laptops. This is certainly a departure from when you may have fallen asleep by a fire under the stars or in a cave after an active day of hunting or foraging. When you consider the vital role that sleep plays in allowing our minds and bodies the opportunity to replenish, heal, rebalance and process information, then it comes as no surprise that chronic stress, depression, addictions, relationship, health or learning challenges and many diseases are so closely linked to insomnia. Whether you have trouble getting to sleep in the first instance or wake up in the middle of the night and struggle to get back to sleep, cognitive based therapy has proven success in helping you to break the habit. Without a doubt all of my clients who develop the ability to sleep properly report positive changes across many areas of their lives. If you’re reading this now because you’re unable to sleep you might like to try the 4,7,8 Breathing Technique to help you to relax and calm your physiology. If you’re committed to claiming a healthy sleep routine then please contact us in the morning! We take a holistic and comprehensive approach that addresses all causes and symptoms to ensure your future is full of nourishing zzzzzz-time.